As a writer and reader with an insatiable appetite for prose, a great chunk of that literary nonfiction and fiction, this journal wasn’t very appetizing to me. Traditional is not what you shall find within these pages. Delve into the decadent and dense territory of minimalistic poetry where the creamy space on the page sometimes seems to hold more fascination that the actual words. While this may sound rather harsh, it was difficult for me to swallow, a task I steeled myself to accomplish. That said, I stumbled upon truffles within these pages and upon consumption the warm sweetness of inspiration filled me; one of the highest compliments a writer can receive. Lara Gularte is one such poet with her artwork, ‘Soul of Black Stone.’ At the crux of the poem Gularte meditates on the falling of waves. After reading this piece I was drawn to its appearance and appreciated the layout of the poem on the page—the lines like waves crashing and receding along a shoreline. 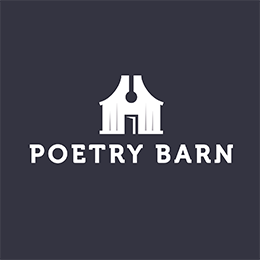 Coterminous to this poem is another of hers, “Transparent Sphere.” Though it appears to be prose written in paragraph form, the length of the piece—10 lines—instills hesitation. I found it deftly poetic and haunting. The ability to create so much in so little is the essence of poetry. Linda Tomol Pennisi’s “Break Dance,” is as enjoyable as the title makes it out to be, promising you’ll want to read and re-read just for the poet’s excellent play on words. After reading Anne Perrier’s poem that was translated from French by Deborah Fiette, a beautiful phrase looped itself in my head—“Oh tender day just like a thread of summer/Around my ankle”. Is that not enough to entice you? Anthony Seidman’s “Decency” and “Embryonic” demonstrated precision with language and utilized the best of metaphors and similes. So disciplined is this poet that all fat has been shorn from his work yet it maintains an accessibility for any reader, a feat not so easily accomplished. Serena Fusek’s “Once Upon a Time” is one of those poems you’ll read and think to yourself, Damn, I wish I could write like that. She has a way of arranging words attractively, like a dessert display, so much so that you never want to see those words in any order but the one she’s placed them in. Her first stanza grips and propels me throughout—“Without warning/your whisper/hisses across/the back of my neck—/ ice-cold blade—”. I’ve saved the most delicious slice for last, “an ode to lovers thrice” by Larissa Pienkowski. Long has it been since I’ve found perfection in poetry but here it is almost smack dab in the middle of the issue. Coincidental? I think not. Pienkowski has tackled the universal theme of love and twisted it in yet a new way while still preserving the familiar. Any reader will latch on and consume her poem voraciously. Isn’t this what every writer, regardless of their genre, strives for? I’ve pondered long and hard over a snippet of this poem to include for you dear reader and in the end wanted to paste the whole thing. I urge, beg, implore you grab a copy and check her out. An up and coming star no doubt. The Bitter Oleander, a collection of such short, precise poetry that explores the experimental with such earnest, would gain to have themed issues. As it is now, without a break between poems, I felt unmoored, much more willing to put it down and take a break more often that I should. I read and re-read much of the poems not out of intrigue but trying desperately to understand what some of the authors were trying to accomplish with such sparsely chosen words. Overall, and this isn’t always the case for my taste in poetry, the more verbose the poem, the more successful it seemed to be. The cover of this issue (and other issues) spells out the word poetry even though the journal’s subtitle includes short fiction. In this 124-page issue there are four pieces of short fiction that take up a mere 15 pages! Furthermore, these pieces are written so nebulously, I find it difficult to categorize them as prose. And while many writers don’t like to ‘categorize’ their work parameters are necessary when submitting your work for publication. My advice—those looking to publish poetry in all its splendid forms, step right up; those looking to place their short fiction, read this journal before submitting. Most literary journals include a biographical section on their contributors both for recognition of their inclusion and, most importantly, so readers can discover who the author is behind the magic or farse of the words on the page. I consider this one of the most important jobs of the journal; without their contributors they wouldn’t exist. There are 55 writers here. That is quite a large number, yes indeed, however, with a website at their disposal they could have easily directed their readers to a section on the site where authors could be identified in as little as a 50-word bio. Not the case here. Only a list of names at the very end, in a reduced sized font to fit everyone on one page. Give credit and recognition where they are due. Of the 55 poets, I felt the urge to look up a handful and whether it was because they haven’t been published before or had popular names, I found nothing. I enjoyed—and I almost never say this—the interview with the Swiss Francophone poet Jose-Flore Tappy. The interviewer provides an introduction to her style and background before the actual interview that was both engaging and informative. As a writer—and not as a writer of any particular genre—I learned much from her. I was able to glimpse how a minimalist poet’s mind works and understand a little of how she creates what she does and why. I also admired how eloquently she shared her process with us, sharing information I found helpful for myself as a writer. Many times throughout the interview I wanted her voice to prevail more. The interviewer seemed too caught up in steering the conversation in a particular direction and about a particular poem or topic and his questions became longer than her answers. The Bitter Oleander has embraced experimental poetry with a particular flair for minimalistic poetry like no other. Bravo! One can tell that every word is selected carefully, perhaps some words carry the burden of too much and in the end crumble beneath the weight, but nevertheless it is precise and such specificity should be applauded. It shows that their writers are disciplined and do not indulge themselves needlessly. We could all learn a lesson here.